Whispering Creek is a perfect place to spend time with your favorite person for that long awaited "get away" time together. Read the reviews, come visit and enjoy. So many amenities for a 1 bedroom cabin as well as fabulous mountain views will surround you on the covered deck. While outside you can be dining, relaxing in the hot tub, or just enjoying the porch swing in front of the outdoor fireplace. Step inside to luxury and comfort into the Great Room with a gas fireplace, cable TV, free WIFI and a pool table. Once again, the two story windows showcase the mountains ? what a way to begin your vacation! The fully equipped kitchen tempts your culinary expertise, and don't forget the gas grill for easy and fast meal preparation. The dining area promotes comfort as you toast one another ? you made it to the mountains! A "Murphy bed" is also available in the Great Room just in case an extra friend joins you. A half bath is conveniently located on the main floor too. 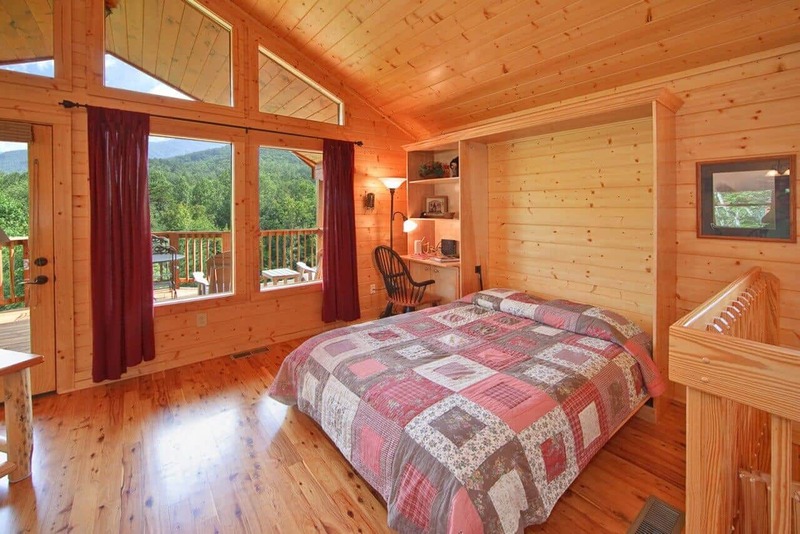 Located on the lower level, the romantic master suite features a Jacuzzi tub, upgraded mattress and bedding with log bed, fireplace and more views of Mt. LeConte. Exit to the covered deck with more mountain views, the hot tub and the porch swing. Beautiful furnishings, luxurious appointments and extraordinary attention to detail ? what better surroundings for a wonderful vacation at Whispering Creek. My bf and I stayed in the Whispering Creek cabin and it was beautiful. The cabin itself was super clean, relaxing, and breathtaking! We enjoyed cooking on the grill upstairs on the deck, as well as th…e hot tub on the downstairs balcony enjoying the wonderful views of the mountains! It wasn't far from downtown Gatlinburg either! I can't wait to come back! It was truly a great experience for us! We are pleased to hear you had such a great cabin stay, Vanessa! Whispering Creek is a fantastic cabin to relax in and create memories that are sure to last a lifetime. 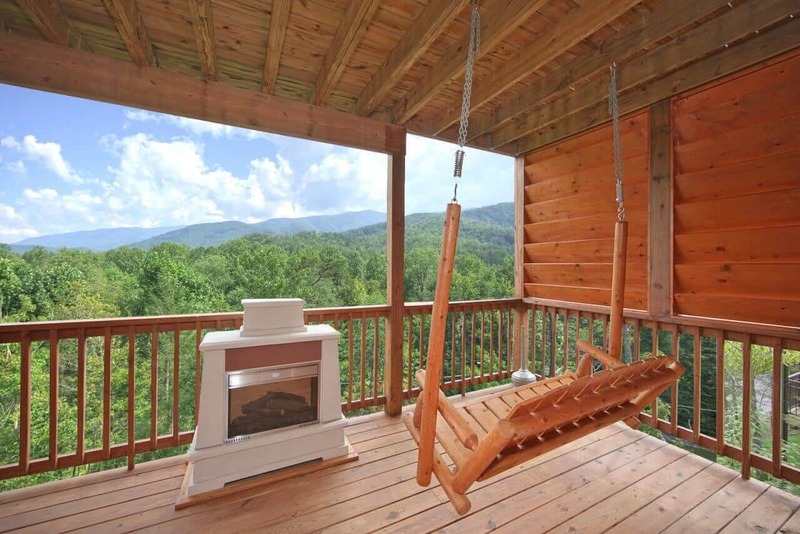 There are many top-notch amenities to enjoy, the incredible view of The Smokies is one that will make a lasting impression. We enjoyed having you as our guest, and we look forward to working with you again very soon! Remember, as a repeat visitor you will save 10% on future stays. Thank you! Thank you for your fantastic 5-star review, Kimber! 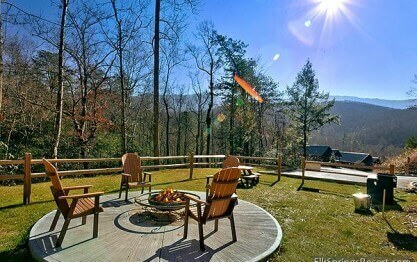 Whispering Creek is truly a beautiful cabin to relax and enjoy a peaceful mountain getaway. 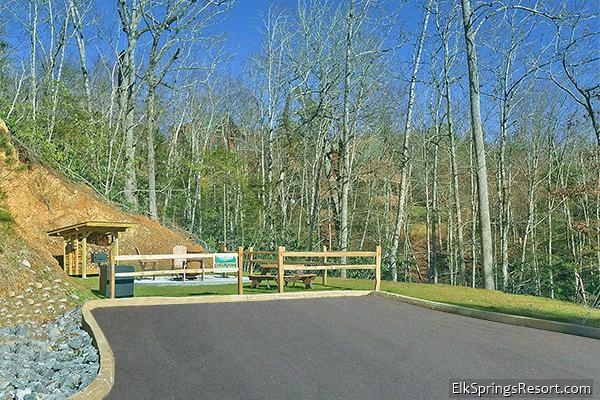 We hope you will choose to visit Elk Springs again on your next trip to The Smokies! "Beautiful place to stay! " My wife and I were EXTREMELY impressed with the professionalism displayed by the resort staff. From the time booking to arriving was fantastic. Not only is the location great, the views are beautiful.… The cabin was VERY clean and had everything we needed. We were VERY pleased in every aspect of our trip. Elk Resorts is the place to be and you WILL NOT be disappointed. Thank you for your kind review, Joshua! We are delighted to hear we exceeded your expectations. We enjoyed having you as our guest and hope you will consider staying with us again in the future. Please keep in mind, as a returning guest you will enjoy 10% off all future stays. Hurry back, your next adventure awaits! Whispering Creek cabin exceeded all of our expectations. 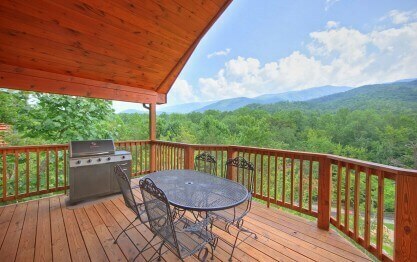 Between the views and the amenities, we could not have chosen a better place to stay for our Gatlinburg getaway. The cabin was in emmaculate co…ndition, and the surrounding areas are very well maintained. Pictures do not do this place justice!! We did not want to leave. We appreciate your business and your fantastic 5-star review, Ashley. We certainly agree! 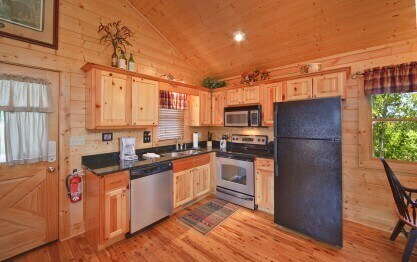 Whispering Creek is a beautiful cabin with great amenities. 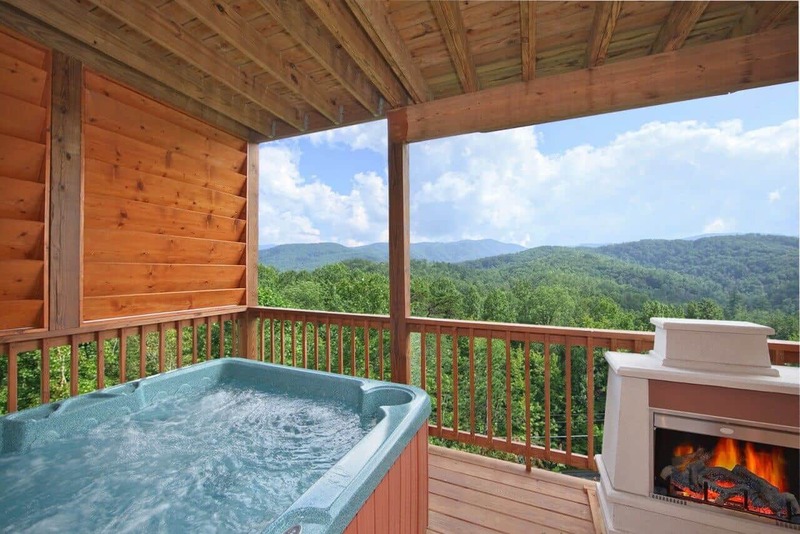 The location is ideal for hitting downtown Gatlinburg or The Great Smoky Mountains Nation Park, or simply relaxing in your cabin and taking in your beautiful surroundings. We hope you will make plans to stay longer next time! Please keep in mind, as repeat visitors you will enjoy 10% off all future bookings! Thank you for your fantastic 5-star review, Sierra! Whispering Creek is truly a gorgeous cabin with a spectacular view of the nearby mountains and many top-notch amenities. Your nephew certainly has the right idea! We hope you and your family will make plans to visit with us again very soon. Please keep in mind, as repeat visitors you will enjoy 10% off all future bookings. Hurry back, new memories are waiting to be made! I could not have picked a better place for my wife and to stay for our 25th wedding annaversary. The cabin was fantastic, well maintained and clean and the view was awsome. Customer service was fantas…tic as well, the staff contacted us on the day of our arrival to confirm we received our check-in information as well during our stay. We are definitely planning on future rental with this company. Thank you for allowing us to be a part of such a special celebration, Douglas! Happy Anniversary! We certainly agree. You chose the perfect cabin to relax, take in the gorgeous mountain view, and simply escape the hustle and bustle of everyday life. We strive to be the best in the business and our customer service is a huge part of that. We are delighted to hear that our staff is holding up that high standard. We enjoyed having you as our guests and we look forward to your next visit. Please keep in mind, as repeat visitors you will enjoy 10% off all future bookings! Hurry back, new memories are waiting to be made! "Amazing weekend getaway in the mountains "
This charming log cabin in the mountains was the perfect setting for a romantic weekend getaway for my husband and I.
Equippped with all the amenities we needed, we could not have picked a better place! We appreciate your business and your wonderful 5-star review, Danielle! 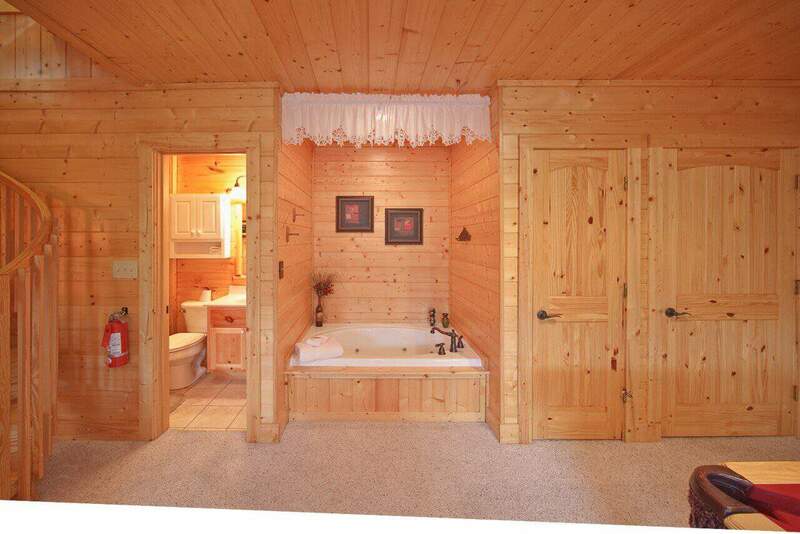 You certainly chose a perfect cabin to enjoy a nice romantic getaway. Whispering Creek is located off the beaten path giving it the true mountain feel, however, it is only moments from the heart of downtown Gatlinburg if you want to explore the surrounding area. We are pleased to hear that your recent stay not only met but exceeded your expectations, and we hope you will make plans to visit with us often! Please keep in mind, as repeat visitors you will enjoy 10% off all future bookings. Hurry back, new memories are waiting to be made! "Cozy cabin with beautiful views "
We had a great time at our stay at Whispering Creek cabin. We came for our honeymoon and had a wonderful week. 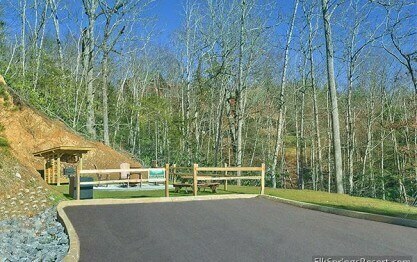 The cabin is just a short drive down the main road to Gatlinburg with all the many things… to do there. The hot tub was a great way to end each night with beautiful views! We really enjoyed how clean and inviting the cabin was as well. We have already said we will be back. Thank you for allowing us to be a part of such a memorable celebration, Shane! Congratulations! We enjoyed having you as our guest and hope you will make Elk Springs Resort part of your anniversary plans for many years to come. Please keep in mind, as a returning guest you will enjoy 10% off all future stays. Hurry back, new memories are waiting to be made! Great place to come home to after exploring the mountains. Totally relaxing and quiet. It is delightful to hear that you enjoyed your recent stay at Whispering Creek. 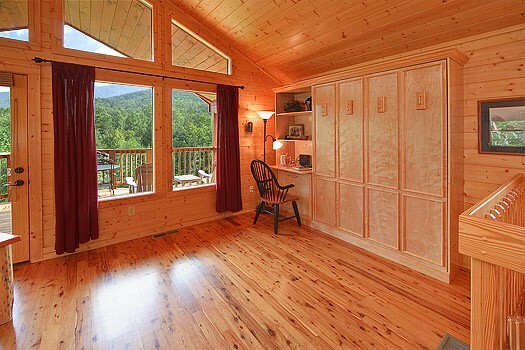 You certainly chose the perfect cabin to relax and enjoy the mountain views after a long day. We hope you were able to enjoy the outdoors while in our area, and it would be a pleasure to serve you again in the future. Please keep in mind, as repeat visitors you will enjoy 10% off all future bookings! Thank you for your wonderful review, Amy! We are delighted to hear your stay was exceptional. We enjoyed having you as our guest and hope you will consider staying with us again in the future. 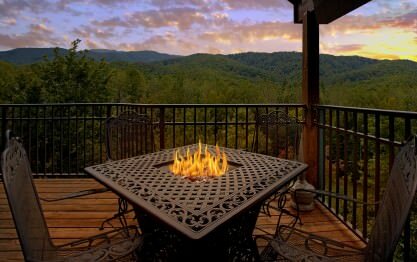 "Amazing place like a piece of heaven breath taking "
It was a beautiful cabin with amazing views of the smokey mountains. It was clean and cozy. We were right near gatlinburg and not far from pigeon forge or Sevieville. We enjoyed our vacation and will be back again soon. Thank you. We appreciate your business and your wonderful review, Artley! It was certainly a pleasure to serve you during your visit to The Great Smoky Mountains. 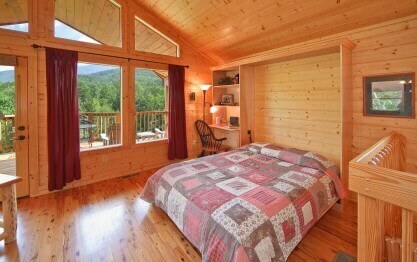 You definitely chose a great cabin to relax and take in the beautiful mountain scenery. We look forward to your next visit with us! Beautiful view, clean wonderful cabin!!! We will definitely be back! Thank you for your fantastic 5-star review, Justin! We are pleased that you enjoyed your recent visit to Whispering Creek. You certainly chose a fantastic cabin to relax and enjoy the beautiful mountain scenery. We hope you will make plans to visit again very soon. Please keep in mind, as repeat visitors you will enjoy 10% off all future bookings! This cabin is absolutely wonderful, the location, the view, the amenities everything. My husband and I had a wonderful time, perfect for a romantic getaway. The propane tank was empty upon arrival so …made it difficult to cook, but help came quickly and he was very nice! We can?t wait to come back and make this an annual trip! Thank you for your fantastic 5-star review, Ryan! You certainly chose a great cabin to relax and unwind from the hustle and bustle of everyday life. 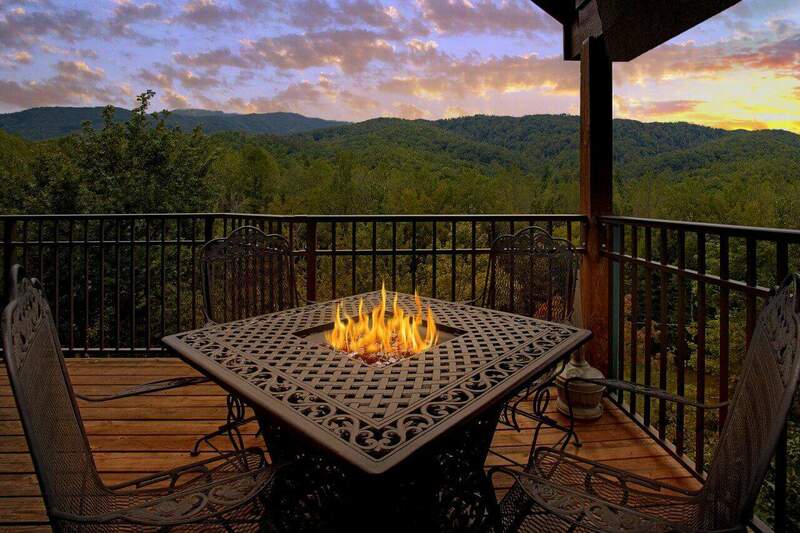 Whispering Creek has many top-notch amenities and spectacular mountain views to enjoy! We are very sorry you arrived to find an empty propane tank but delighted that our technician came out quickly to replace it. We look forward to your next visit with us, and please don't forget to mention that you are a returning customer and you will enjoy 10% off all future bookings. Hurry back, new adventures await! "Honeymoon in the Smokies "
It was a wonderful cabin, VERY clean, and cozy! The pictures online were accurate to the actual cabin and amenities. Thank you for your fantastic 5-star review, Stephanie! It is delightful to hear that you had such a great experience at Whispering Creek. You certainly chose a great cabin to relax and unwind from the hustle and bustle of everyday life. We hope you will make plans to visit again very soon. Please keep in mind, as repeat visitors you will enjoy 10% off all future bookings. Hurry back, new memories are waiting to be made! "Amazing Cabin and Great Views!! " Nicely maintained and comfortable cabin. Will surely visit again. Thanks Elk Springs for making our 2 nights stay wonderful and relaxing!! Thank you for your kind review, Gunjan! We are excited to hear we exceeded your expectations. We enjoyed having you as our guest and hope you will consider staying with us again during your next visit to Gatlinburg. The cabin and location were beautiful,quiet and clean. We enjoyed all the amenities at the cabin and checking out the area. Thank you for your fantastic review, Tami. We are pleased that you enjoyed your recent stay at Whispering Creek! This cabin is truly amazing and we hope you will make plans to visit again very soon. Please keep in mind, as repeat visitors you will enjoy 10% off all future bookings. Hurry back, new memories are waiting to be made! If you are questioning whether this place will be good or not then you do not need to question any longer. This place is amazing. Between the views, the location, the amenities, and the convenience of… everything, it is just wonderful. The check in process is completely handled electronically so you never have to make extra stops; you can just drive straight to your cabin. 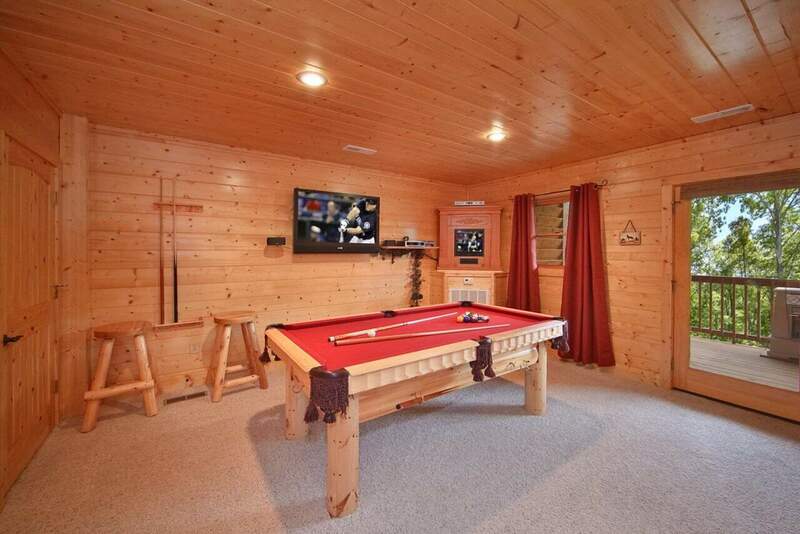 The amenities are dope with all the fireplaces/fire pits, balconies, garden style bathtub, hot tub, pool table, etc , you literally could just stay in the cabin the entire time if you wanted. Thank you for your fantastic review, Michael. 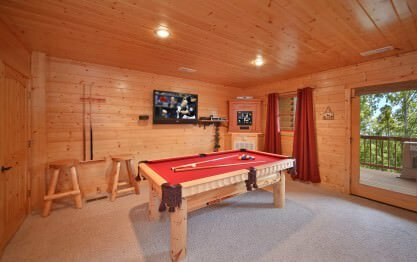 You certainly chose a perfect cabin to relax and enjoy some top-notch amenities. 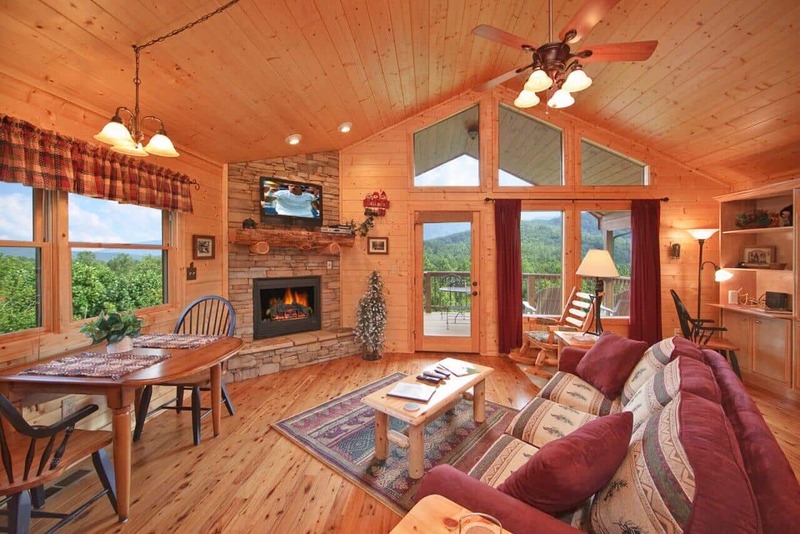 Whispering Creek is an exceptional cabin for a quick romantic getaway or for a full vacation. 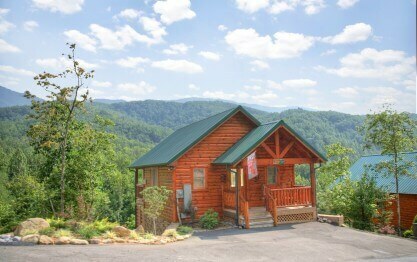 The cabin is very close to a Smoky Mountain National Park entrance and the heart of downtown Gatlinburg. We hope you will join us again very soon. Please keep in mind, as repeat customers you will enjoy 10% off all future bookings! Hurry back, new adventure awaits. Thank you for your wonderful review, Louis. We are pleased that you enjoyed your recent visit and we hope you will plan another visit very soon! Thank you for allowing us to be a part of your anniversary celebration, Adriana. We consider it an honor and hope you will make Elk Springs Resort part of your anniversary plans for many years to come. Please keep in mind, as a returning guest you will enjoy 10% off all future stays. Hurry back, new memories are waiting to be made! Could not have asked for a better cabin. We stayed during the Artic Blast of 2018 and enjoyed the views from the cabin as I experienced my first snow fall! Thank you for your wonderful review, Dennis! We are excited to hear you experienced your first snowfall. The views of the snow-covered mountains are extraordinary from this cabin! We enjoyed having you as our guest and hope you will consider staying with us again in the future. We had such an amazing vacation at Whispering Creek! The cabin was gorgeous and had so many amazing amenities...from the super comfortable bed and luxurious linens to the multiple fireplaces in the ca…bin and on the deck! The hot tub and outdoor fire table were also among our favorite things about the cabin. The whole house (hot tub included!) were spotless when we arrived. The view from the cabin is absolutely breathtaking. We really couldn't have asked for a better place to stay! The drive in to Gatlinburg/Pigeon Forge was a bit longer than we had anticipated, but everything about the cabin made it worthwhile! We can't wait to come back! Thank you for allowing us to be a part of such a wonderful celebrations, Emily! We are pleased that you enjoyed your stay at Whispering Creek. It would be a delight if you would join us again during your next trip to The Great Smoky Mountains. Please keep in mind, as repeat customers you will enjoy 10% off all future bookings. Hurry back, new adventure awaits! My family of 4 enjoyed our stay here. It wasn?t too far out from Gatlinburg. My wife really enjoyed the fact that you get the beautiful Mountain View w/o needing to drive up narrow driveways looking d…own a mountain. The place was very easy to access. Everything worked well and the cabin was very clean. I would stay here again. The management company was very helpful and quick to respond with questions. I will definitely be using them again in the future. Thank you for your wonderful review, John. We are so happy you and your family enjoyed your stay at Whispering Creek. We hope you are already planning your next visit. Please keep in mind as repeat guests you will enjoy 10% off all future bookings! Hurry back, new memories are waiting to be made. "Amazing Cabin Rental for Relaxing Weekend!" Whispering Creek provided an amazing relaxing weekend. Everything was top of the line from cleanliness to location to view. You can't beat this place! Thank you for the 5-Star review, Eytan! We are excited to hear your stay was exceptional. We appreciate you trusting Elk Springs Resort with your vacation lodging and hope you will visit again soon! What an amazing trip. Will definitely do it again! Thank you for your wonderful review, Luke! We are excited to hear we exceeded your expectations. We would consider it an honor for you to stay with us again. Please keep in mind, as a returning guest you will enjoy 10% off all future stays. We hope to see you again soon! Had a great time. Cabin and location was awesome. Thank you for your wonderful 5 star review, Jacob. We are very happy to hear you enjoyed your cabin stay! We truly appreciate your business and hope you will join us again during your next trip to Gatlinburg. We loved our stay with elk resort. This is our secondly stay with elk resort and loved it. The cabins are well maintained and the views are great. Feel so close to the mountain. My daughter and I love…d the hot tub. We also enjoyed the patio and the grilling. We are excited to hear your stay was exceptional, Rachael! A family get-away at Whispering Creek is sure to be a truly memorable experience. We enjoyed having you as our guest and hope you will visit us again soon! "Very Nice Getaway, Easy Check In and Check Out"
We rented a smaller but very nice cabin, It was very well maintained and much nicer than any hotel you could stay in locally. 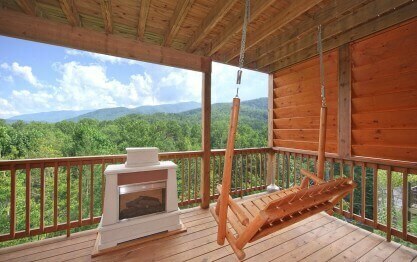 It will definitely be my first choice for accommodations on our next trip …to the Smoky Mountains. They are about a 30 minute drive out of town but well worth the travel time for peace and quiet. Thank you for your kind review, Stanley! We are excited to hear your stay was exceptional. Once you experience a luxury cabin rental, it is hard to settle for a mere hotel room. We would consider it an honor for you to stay with us again. Please keep in mind, as a returning guest you will enjoy 10% off all future stays. Hurry back, new memories are waiting to be made! We enjoyed renting the Whispering Creek cabin for our vacation. It had everything we could possibly need for the week to be our home away from home. The view was amazing and my sons enjoyed playing ga…mes of pool. The beds were comfortable and the water pressure was better than I expected from the showers. The area around the cabin was nice and well-maintained with beautiful landscaping. We would stay at the Whispering Creek again on future trips and would recommend this cabin to our friends and relatives. Thank you for your wonderful review, Erin. It sounds like you chose the perfect cabin! We are happy to hear your stay was exceptional and would consider it an honor for you to stay with us again. Please keep in mind, as a returning guest you will enjoy 10% off all future stays. We hope to see you again soon! It was more beautiful than I had imagined. The pictures do not do the place justice. It was clean, and very easy to get PIN number and get in the rental without needing to talk to anyone. I love it. Thank you for sharing your wonderful experience with us, Shannon! We are happy to hear your stay was exceptional. We enjoyed having you as our guest and hope you will consider staying with us again during your next visit to Gatlinburg. "Perfect place for a peaceful weekend get away"
Whispering Creek cabin was perfect. The views from the hot tub and decks was exactly what we were looking for. Can't wait to visit again! Thank you for your 5-Star review, Kristi! We are excited to hear how much you enjoyed your stay. 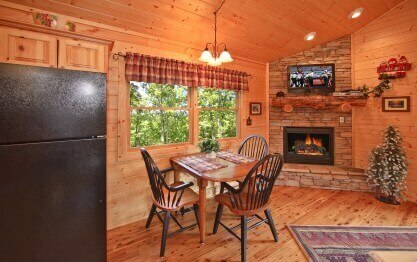 You certainly chose the perfect cabin to enjoy the peace and tranquility that The Great Smoky Mountains are famous for! We enjoyed having you as our guest and would consider it an honor for you to stay with us again. Please keep in mind, as a returning guest you will enjoy 10% off all future stays. 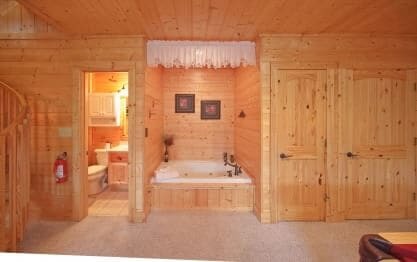 "Relaxing & private cabin with plenty to do and see"
I was looking for a nice quiet cabin experience to get away with my wife for a few days and this cabin was exactly what I was looking for. It was a nice distance from Gatlinburg and other activities …while still providing a nice and quiet atmosphere. We wish we would have booked a few more days in order to enjoy all of the cabin's features more. Hot tub, pool table, fireplace, grilling, TVs, and the views were great. We will be back! Thank you for the wonderful 5 star review. We are very pleased to hear how much you enjoyed your stay at Whispering Creek. This is a popular cabin choice of many couples seeking a well deserved respite from the daily grind. We look forward to having you back as repeat guests. Be sure to take advantage of a 10% discount off your next booking. I could not have been more pleased with the Whispering Creek cabin! We loved everything about it....the views, being able to hear and see the creek below, the decks, the pool table, hot tub, jacuzzi …tub....everything! It was plenty big for me, my mother, my teenage son and my 8 year old son. The kids loved the Murphy bed!!!! We grilled a couple of nights and ate dinner at the fire table which was gorgeous. Waking up every morning and opening the curtains and door to enjoy the view from the bed was perfect. This cabin met all our needs and more. Perfect, relaxing getaway for my family!!!!! Thank you for allowing us to be a part of such a memorable vacation, Maria! We are delighted to hear we exceeded your expectations. We enjoyed having you as our guest and hope you and your family will visit us again. It was an amazing cabin like always! I have stayed with Elks Springs twice so far and will continue to come back! Given the fact that you are a repeat visitor giving us another 5-star review, speaks volumes to the type of services and properties we provide our guests. We are pleased that you took the time to give us this great review and hope you will continue to make Elk Springs Resort your vacation destination for many years to come. "Great getaway to the mountains"
We really enjoyed our vacation. This is our second time coming to the Smokey mountains and we love it. The cabin was clean and had all the amenities we could ever want. It is a great place to relax an…d unwind either in the hot tub or on the swing. We will definitely be back again next year. Thank you for sharing your wonderful experience with us, Jennifer! We are happy to hear we exceeded your expectations. We would consider it an honor for you to stay with us again. Please keep in mind, as a returning guest you will enjoy 10% off all future stays. Hurry back, new memories are waiting to be made! 4 night romantic get away for my husband and I. The most perfect vacation we've ever had. Beautiful! Thank you for your kind words, Bonnie! We love to hear your stay was exceptional. We hope you will make plans to stay with us again during your next visit to Gatlinburg. Please keep in mind, as a returning guest you will enjoy 10% off all future stays. We had a great stay at Whispering Creek! The cabin was very clean and we loved the different gas heating units throughout the house. Look forward to staying again soon. Thank you for the review Brian! Whispering Creek is a beautiful cabin! So happy that you enjoyed it! We do hope that you can stay with us again! We absolutely LOVED our cabin! It was even better than we expected! It was just the right size and had everything you could want. It's secluded enough you don't even notice or see the neighbors and ha…s the most beautiful views. We loved that it was close, but far enough away from downtown Gatlinburg to give it a very peaceful setting with gorgeous views. Watching the stars at night from the hot tub was one of our favorite things about our vacation. Everything was clean and we loved all the cute decorations. The first night our hot tub wasn't turning back on and the customer service was so polite and prompt. They were able to come fix it in no time! Our favorite breakfast place was Crockett's Breakfast Camp! We miss it already! Parrot Mountain and Gardens in Pigeon Forge was also a very memorable experience. We absolutely loved being able to feed and hold all the tropical birds. Such a fun and unique experience! Sugarlands Distillery is a must try and was so much better than the other ones in the area. We stayed the last week of October and had perfect weather (70s and sunny)and were able to enjoy all the beautiful fall colors!We will for sure be returning and telling everyone about our romantic stay at this cozy cabin in the Smokies! Thank you for your 5-Star review, Samantha. We are delighted to hear we exceeded your expectations! We would consider it an honor for you to stay with us again. Please keep in mind, as a returning guest you will enjoy 10% off all future stays. Thank you for your wonderful review, Jeremiah! We are delighted to hear you enjoyed your stay. We enjoyed having you as our guest and hope you will make plans to stay with us again! The cabin was beyond what we expected everything was new clean nothing outdated. Even though you have neighbors everyone is so quiet and respectful and you can't hear anything from the other cabins. T…he View was exceptional. The amenities they provide it's just like being at home. We will definitely continue to stay at Elk Springs Resort cabins. Whispering Creek the Barefoot cabins will be our home away from home from here on out. We certainly appreciate your wonderful review. Our goal at Elk Springs Resort is provide a wonderful vacation experience and excellent customer service! We are so pleased that you enjoyed your stay at Whispering Creek and look forward to your future stays with us. Please take advantage of our return guest discount of 10% for all future stays that you will book in the future. "Great cabin with unbelievable mountain view." Beautiful luxury cabin and awesome view of the Smoky Mountains. We are happy to hear we exceeded your expectations, Ion! We hope you will consider making Elk Springs Resort part of a new tradition when visiting our beautiful Great Smoky Mountains. Hurry back, new memories are waiting to be made! we had a great time just relaxing and exploring the area. the stay in the cabin was truly a must to enjoy the scenery, just breath taking. Thank you for your wonderful review, Pamela! We love to hear how much you enjoyed your visit. We hope you will come back and see us often! Everything was great, the cabin was clean and it was the perfect distance to everything that I wanted to do. The hot tub overlooking the mountains was the best after a long day of hiking and biking. 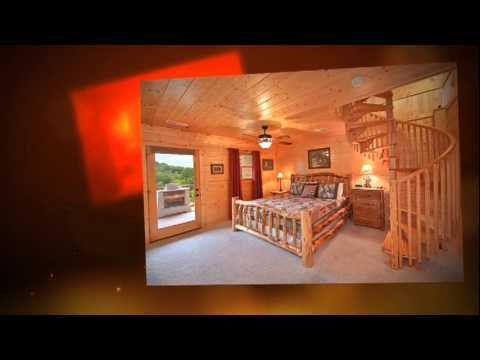 I… would book another cabin through Elk Springs Resort! Thank you for sharing your wonderful experience with us, Leah! We love to hear how much you enjoyed your visit to our area. We hope you will make plans to come back and stay with us often. Please keep in mind, as a returning guest you will enjoy 10% off all future stays. Hurry back, your next adventure awaits! "The most clean and comfortable vacation home ever"
The way they maintained the property get 100% rating from all aspects like comfort, cleanliness, amenities. my kids like hot tub. It was such a nice view from the cabin. All amenities were great e…specially fully equipped kitchen, grill, pool table, Wi-Fi, cable almost everything. In future, this will be my place to stay. I also recommend this nice place to my friends. We are excited to hear we exceeded your expectations, Krunal! 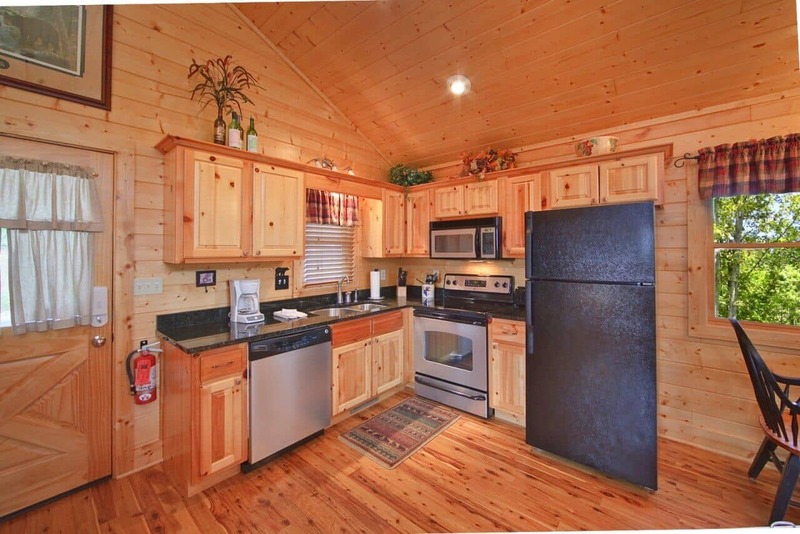 We love to hear you were able to enjoy so many of the amenities this cabin offers. We would consider it an honor for you to come back and stay with us again. Please keep in mind, as a returning guest you will enjoy 10% off all future stays. Hurry back, your next adventure awaits! Loved this cabin. Very nice. Well stocked. Quiet community. Good amenities. We were very happy with our stay and found everything we needed. Thank you for your wonderful review, Heather! We are delighted to hear your stay was exceptional. We enjoyed having you as our guest and hope you will make plans to stay with us again! "Elk Springs - Whispering Creek review"
We could not have asked for a more beautiful, well appointed cabin to stay in. This cabin is great for a couple or one with a small child. We loved eating meals out on the back deck, watching the moon… rise over the mountain and having my daughter experience lightening bugs. 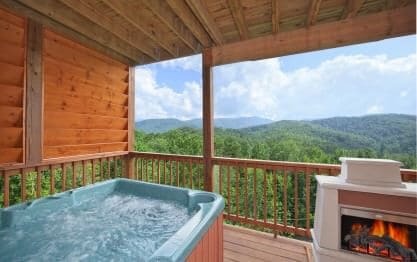 The hot tub was perfect after days spent trekking through nearby gatlinburg and pigeon forge. Overall we would highly recommend this cabin and look forward to returning in the very near future! Wow! What a great review, Michelle. Thank you for allowing us to be a part of such a memorable family vacation. We agree, Whispering Creek is the perfect cabin to relax and enjoy the magic of nature. We hope you and your family will come back and visit with us again soon. Hurry back, your next adventure awaits! 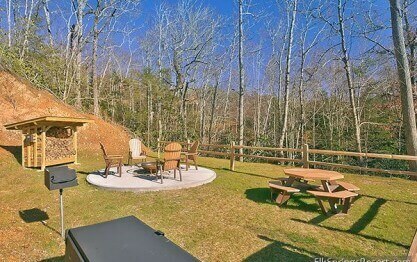 Excellent location, amazing views, well maintained property with all amenities you can ask for. As property is 10 miles from Gatlinburg downtown, car is must. Great smoky mountain national just after …you cross the gatlinburg city. We really enjoyed the trip and our stay. We are pleased to hear your vacation was a success. 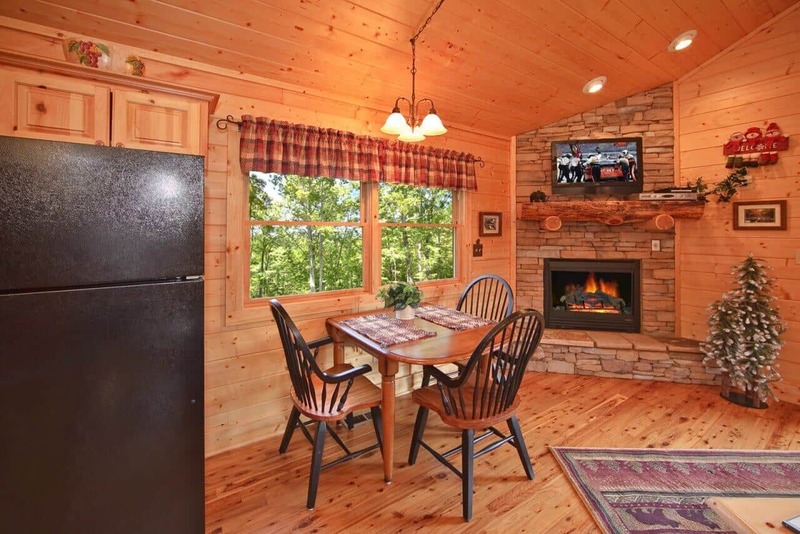 Whispering Creek is the perfect cabin to enjoy all that our area has to offer. It is close to downtown, yet, just far enough away to be able to enjoy the serene sounds of nature. We hope you will come back and stay with us as often as you can. I am very happy with the cabin we stayed in. 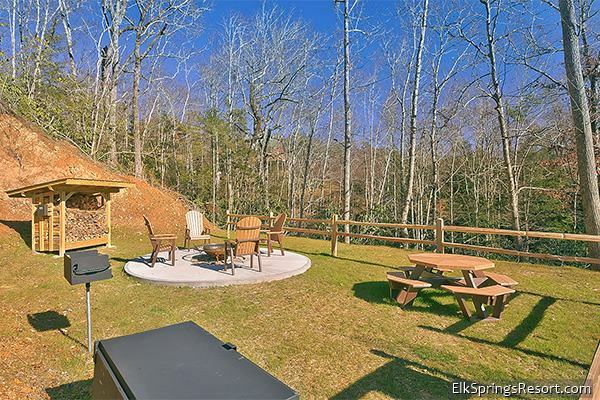 The location was perfect, overlooking the mountain valleys, yet not too far from trails and attractions in the Gatlinburg and surrounding area. 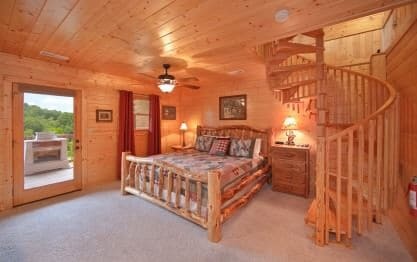 The cabin w…as straight out of a book with a hot tub on the back porch, spiral staircase, and a Huge king size bed with jacuzzi and pool table in the lower level. The cabin was very clean and well kept. The staff at Elk springs called me before, during, and after my visit to ensure I was happy with everything. Very good experience and I will be going through Elk Springs for future trips to the Smokey Mountains. Thank you for sharing your experience with us, Caleb! Our goal is to provide you with a luxury cabin that will exceed all of your expectations. It sounds like we succeeded! You, as our guest, are our top priority. We are happy to assist you from the moment you start planning your vacation. We look forward to your next visit! HAD A BALL AS ALWAYS WITH ELK SPRINGS, SO MUCH SO STAYED AN EXTRA DAY! WHAT KIND OF BED IS IN THIS ROOM ITS THE BEST EVER. Thank you for your wonderful review, Thomas! We appreciate you returning to stay with us. It makes us happy to hear that you did not want to leave! We are finding out the specific information on the bed and will send you an email soon. We are always happy to share this information with you. Please contact us when you are ready to start planning your next get-away. Your next Smoky Mountain adventure awaits you! "2016 Relaxation at Whispering Creek "
Thank you for your 5-Star review, Kenneth! We love to hear that our guests are able to enjoy the peace and quiet that nature so wonderfully provides. If relaxation is what you are seeking, Whispering Creek is the perfect cabin. 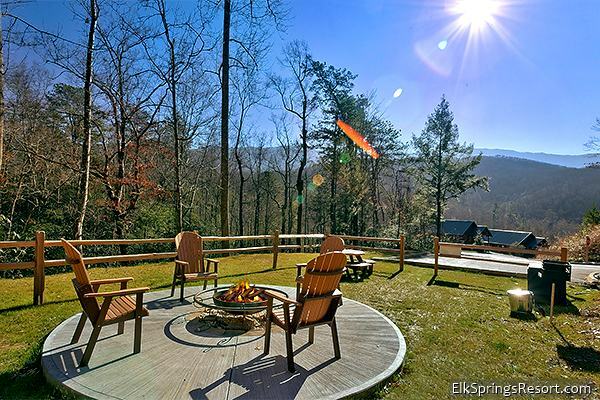 We hope you will consider staying with Elk Springs Resort during your next visit to our Great Smoky Mountains. Please come back and see us soon! This place was great! It was perfect for the two of us. It was very clean, the hot tub was relaxing, and view was amazing. It was located 10 mins from the Smokey's enterancenterance which was perfect …for us, that's where we spent all of our time. The only thing is I wish it was further in the woods but then I guess you wouldn't been that close to town! Definitely recommend. Your wish is our command! 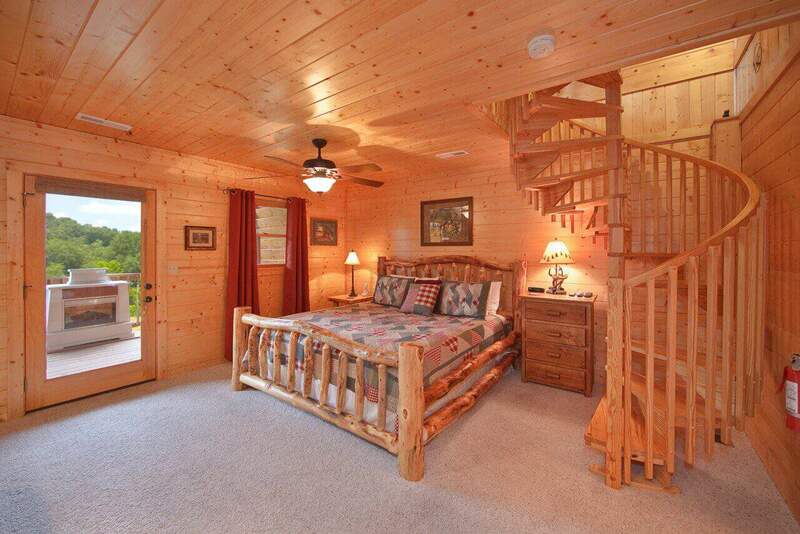 We have the perfect cabin waiting for your next stay. You only need to contact one of our experienced sales representatives to choose a cabin that will give you the secluded experience you are looking for. With so many cabins to choose from, it is easy to find your new home away from home in the Great Smoky Mountains!